Most people believe that asbestos use is banned in just about every country on the planet. It’s not. There are more than 250 countries, territories, colonies, and dependencies around the world and just 59 have bans on all types of asbestos. The U.S. isn’t one of them, and neither are Canada, Russia, India, Brazil, Mexico, China, and many developing countries. In fact, India, the world's biggest asbestos importer, has a $2 billion industry with double-digit annual growth, at least 100 manufacturing plants, and some 300,000 jobs. And in Russia, the asbestos industry is “booming,” accounting for a staggering 1.1 million tons produced annually of the roughly two million tons produced worldwide each year. Asbestos production in Russia has increased from 1 million tons in 2010. China, the second largest producer of asbestos, produced 400,000 tons in 2016 and in 2010, and Brazil produced 300,000 tons up from 270,000 in 2010. Though two million tons produced annually is far less than peak annual production of nearly five million tons two decades ago, it still has the potential to claim tens of thousands of lives in the near future to even decades from now. Remember, it can take anywhere from 20 to 50 years for mesothelioma to develop after exposure and even small amounts can lead to disease. According to the World Health Organization (WHO), currently about 125 million people in the world are exposed to asbestos in the workplace. In 2004 alone, asbestos-related lung cancer, mesothelioma, and asbestosis from occupational exposures resulted in 107,000 deaths and 1,523,000 Disability Adjusted Life Years (DALYs). In addition, thousands of deaths can be attributed to other asbestos-related diseases, as well as to non-occupational exposures to asbestos. Stop the use of all types of asbestos. Replace asbestos with safer substitutes and develop economic and technological mechanisms to stimulate its replacement. Take measures to prevent exposure to asbestos in place and during asbestos removal (abatement). Improve early diagnosis, treatment, social and medical rehabilitation of asbestos-related diseases and establishing registries of people with past and/or current exposures to asbestos. The manufacture, importation, processing and distribution of asbestos-containing corrugated paper, rollboard, commercial paper, specialty paper, and flooring felt have been banned. Asbestos pipe insulation and asbestos block insulation on facility components, such as boilers and hot water tanks, if the materials are either pre-formed (molded) and friable or wet-applied and friable after drying. Spray-applied surfacing asbestos-containing materials: spray-on application of materials containing more than 1% asbestos to buildings, structures, pipes, and conduits unless certain conditions specified under 40 CFR 61, Subpart M are met. If you think you may have been exposed to asbestos, see your doctor right away. 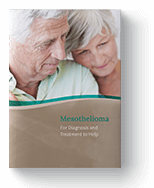 Though there is no cure for mesothelioma, early detection could increase treatment options and help you live longer. "Asbestos." International Programme on Chemical Safety. World Health Organization (WHO), 2017. Web. 18 Sept. 2017. "Asbestos Still Pushed in India and Business Is Booming." CNBC Asia-Pacific News. CNBC LLC., 13 Aug. 2014. Web. 18 Sept. 2017. Frank, Arthur L., and T.K. Joshi. "The Global Spread of Asbestos, 2014." Annals of Global Health 80.4 (2014): 257-62. Elsevier. Web. 18 Sept. 2017. Kazan-Allen, Laurie. "Current Asbestos Bans and Restrictions." International Ban Asbestos Secretariat. IBAS, 18 Feb. 2017. Web. 24 Mar. 2017. "Major Countries in Worldwide Asbestos Mine Production Top Countries Worldwide 2010-2016." Statista. Statista Inc., 2016. Web. 18 Sept. 2017. "Morbidity and Mortality Weekly Report (MMWR)." Centers for Disease Control and Prevention (CDC). Centers for Disease Control and Prevention (CDC), 02 Mar. 2017. Web. 24 Mar. 2017. "U.S. Federal Bans on Asbestos." Environmental Protection Agency (EPA). United States Environmental Protection Agency (EPA), 19 Dec. 2016. Web. 18 Sept. 2017.